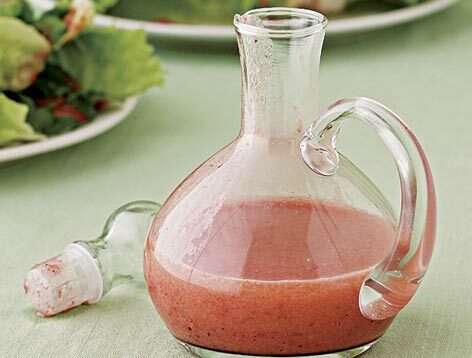 To make vinaigrette, thoroughly whisk vinegar and salt/pepper in a small bowl. Add the EVOO in a slow stream while continuing to whisk until it is emulsified. Adjust vinegar and oil ratio to your taste. Spectacular over salad greens, cheese, pecans, strawberries and sprouts. See the Spring Mix Salad with Strawberry Vinaigrette recipe for the complete salad recipe.